Vascular stents are deployed in the blocked arteries to restore the passage of the blood flow. Conventional design analysis procedure wouldn’t be able to tackle simultaneously the problems of recoil and foreshortening, and often its time consuming. 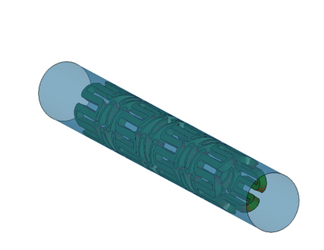 This paper discusses the use of such advanced technique to solve the stent design problems, and covers the essence of Finite Element Analysis, FE Model Parameterization and Optimization. Download the full paper for more information.